Genohub (https://genohub.com/) announced the launch of their online market for next generation sequencing services today. The online service is positioned to completely change the way high throughput sequencing services are ordered, accelerating genomic research by improving access to sequencing services. Genohub’s intelligent sequencing matching engine (https://genohub.com/shop/proj/) instantly matches researchers with service providers based on specific project criteria. Genohub facilitates the management of sequencing projects throughout the sequencing lifecycle from selecting orderable sequencing packages, to communication, payments and delivery of data. 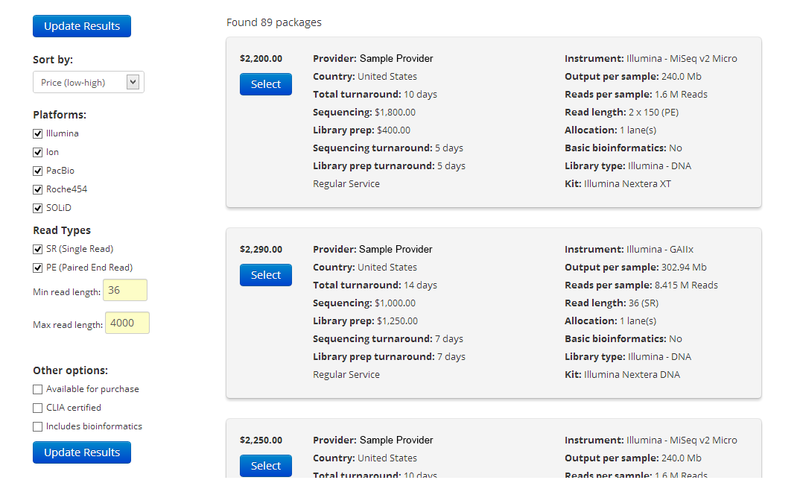 Genohub’s shopping interface is designed to accommodate both researchers with prior experience with the latest sequencing technology, as well as the increasing number of life science researchers who are not necessarily familiar with the latest sequencer specs or perhaps have no prior sequencing experience at all. 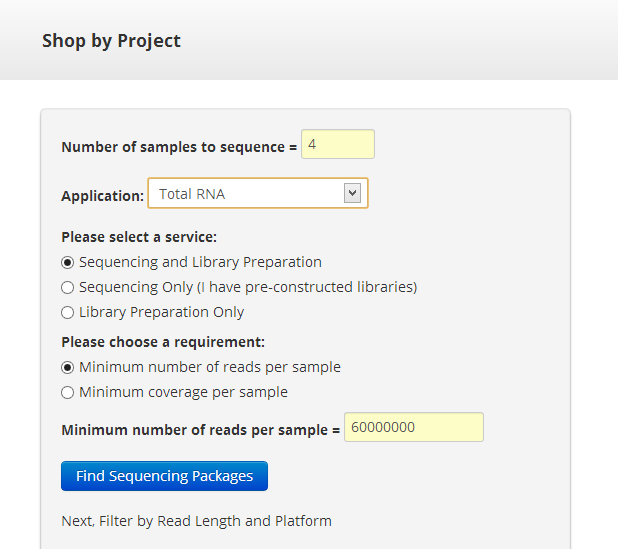 Experienced users can search by selecting specific instruments (https://genohub.com/browse/seq/) and run types while researchers new to sequencing can shop for services by their project requirements, e.g., read number and coverage. Researchers who need help selecting the right sequencing service can also take advantage of free consultation by Genohub’s PhD trained staff.